China Deploys 150,000 Troops to North Korea to Prepare for US Strike ! The Chinese government has deployed 150.000 troops to the North Korean border to prepare for a strike from the United States following the missile airstrikes against Syria last week. The strikes against Syria have been widely interpreted as a warning to Kim Jong-Un from President Trump for continuing to conduct nuclear missile testing despite warnings from the international community. 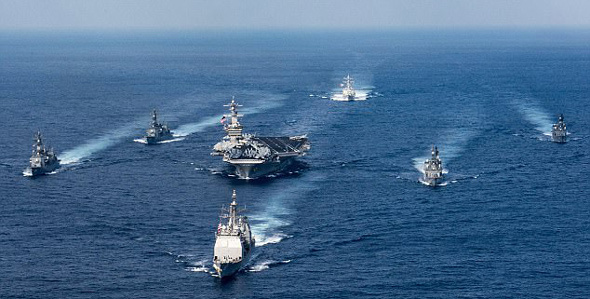 China has now dispatched troops from the People’s Liberation Army forces to the Yalu River in anticipation of pre-emptive attacks as the US Navy moves the USS Carl Vinson aircraft carrier strike group from Singapore to North Korea.According to reports from Korea’s Chosun.com, The troops have been dispatched to handle North Korean refugees and “unforeseen circumstances”, such as the prospect of preemptive attacks on North Korea, the news agency said. The Daily Mail reports: China’s top nuclear envoy arrived in Seoul Monday for talks on the North Korean threat, as the United States sent the naval strike group to the region and signaled it may act to shut down Pyongyang’s weapons program. Speculation of an imminent nuclear test is brewing as the North marks major anniversaries including the 105th birthday of its founding leader on Saturday – sometimes celebrated with a demonstration of military might. Wu Dawei, China’s Special Representative for Korean Peninsula Affairs, met with his South Korean counterpart on Monday to discuss the nuclear issue. The talks come shortly after Trump hosted Chinese leader Xi Jinping for a summit at which he pressed Pyongyang’s key ally to do more to curb the North’s nuclear ambitions. ‘(We) are prepared to chart our own course if this is something China is just unable to coordinate with us,’ US Secretary of State Rex Tillerson said after the summit. He added however that Beijing had indicated a willingness to act on the issue. ‘We need to allow them time to take actions,’ Tillerson said, adding that Washington had no intention of attempting to remove the regime of Kim Jong-Un. The meeting between Xi and Trump came on the heels of yet another missile test by the North, which fired a medium-range ballistic missile into the Sea of Japan on Wednesday. The US Navy strike group Carl Vinson canceled a planned trip to Australia this weekend, heading toward the Korean peninsula instead, in a move that will raise tensions in the region. Seoul and Washington are also conducting joint military drills, an annual exercise which is seen by the North as a practice for war. Pyongyang is on a quest to develop a long-range missile capable of hitting the US mainland with a nuclear warhead and has so far staged five nuclear tests, two of them last year. 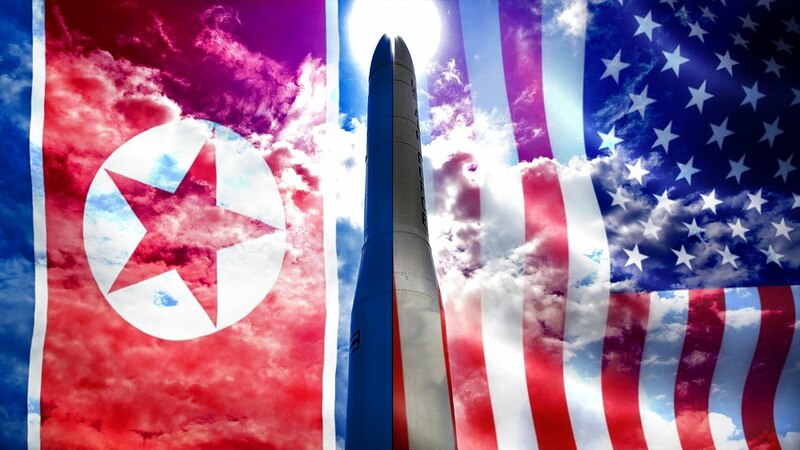 Satellite imagery analysis suggests it could be preparing for a sixth, with US intelligence officials warning that Pyongyang could be less than two years away from its goal of striking the continental United States. China, the US, South Korea and Japan all have dedicated envoys who meet at regular intervals to discuss the North Korean issue: a legacy of the long-stalled six-party process that also involved Pyongyang and Moscow. The North quit the negotiations in 2009. The isolated North is barred under UN resolutions from any use of ballistic missile technology, but repeated rounds of sanctions have failed to arrest its nuclear ambitions. Trump has previously threatened unilateral action against the reclusive state, a threat that appeared more palpable after Thursday’s strike on a Syrian airfield following an apparent chemical attack. US National Security Adviser HR McMaster on Sunday criticized North Korea as a rogue nation engaged in provocative behavior and said denuclearisation of the peninsula ‘must happen’. ‘The president has asked them to be prepared to give us a full range of options to remove that threat,’ he said on Fox News, apparently referring to Trump’s advisers. Read The Full Article @ NeonNettle !! !